Denise has over fifteen years experience counseling individuals, couples, and families. She is a Board Certified Christian Counselor, Charter member of the International Christian Coaching Association, and an AAMFT Clinical Member and Approved Supervisor. She has completed all three levels of advance training in the Gottman Method of Therapy for Couples and is currently in the certification process. The Gottman Method of the couples therapy is supported by 42 years of clinical research and has proven strategies and interventions to help couples manage conflict and increase effective communication skills. Denise earned her Master's Degree from Bethel Seminary in St. Paul, MN in Marriage and Family Therapy. 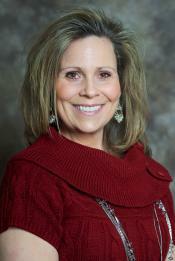 Denise currently owns and operates Genesis Counseling in Twin Cities, MN. Denise offers faith-based counseling intertwining sound psychological theory and intervention with spiritual truths. She is dedicated to helping individuals, couples, and families create a life worth living. Her goal is to help people find healing and growth as they negotiate the challenges encountered in life. Denise believes that by creating an emotionally safe environment, clients will be encouraged to develop strong, assertive voices, respecting and validating themselves while exploring the constraints of their lives. She assists people striving to overcome these constraints through learned life skills. This allows a solid foundation for any issues clients face and supports that foundation with a framework based on the latest advances in psychology and relationship research.